H.E Nelson Ocheger held a meeting with the Secretary General of the African Shipowners Association Ms. Funmi Folorunso and discussed ways of building the capacity of African Governments and the private sector to own their own fleet so as to handle cargo. H.E Nelson Ocheger held a meeting with the Director Nigeria Association of Chambers of Commerce, Industry Mines and Agriculture(Nacima). The meeting discussed ways on how both countries could strengthen their cooperation and further involve the private sector since it plays a key role in the manufacturing sector. The African Development bank (Nigeria Country Department) launched the West Africa Economic outlook 2019 at its headquarters in Abuja on the 2/04/2019. In his opening remarks, Mr Ebrimal Faal, Senior Director Nigeria Country Department emphasized the need for regional integration as the key to Africa's development and prosperity. The High Commissioner of Uganda to the Federal Republic of Nigeria in Abuja, Ambassador Nelson Ocheger held a meeting at the Mission with the consultancy team tasked with the structural, electrical and mechanical engineering designs of the Uganda High Commission Chancery project. Uganda's new envoy to the Republic of Ghana, Amb. Nelson Ocheger has called for the scaling up of commercial cooperation between the two countries so as to spur investment in agriculture and animal husbandry, mining, fishing and infrastructural development. Uganda's High Commissioner to the Federal Republic of Nigeria, Amb. Nelson Ocheger, has emphasized that for Africa to develop, the African countries must trade with one another. He made this remarks in a meeting with the President of the Abuja Chamber of Commerce and Industry. President Yoweri Museveni has called on African leaders to focus on practical issues including promoting trade and services among their people and where possible, use third parties to develop the continents huge resources and reverse and divert its hemorrhage spending abroad to building infrastructure and industries home. The President of the Republic of Liberia, His Excellency George Weah has hailed the cordial relations that exist between his country and Uganda. The President stated this in Monrovia while receiving the letters accrediting Nelson Ocheger as Ambassador Extraordinary and Plenipotentiary of the Republic of Uganda to the Republic of Liberia. Brig. Gen. Herbert Rwego Mbonye has been formally accredited as Uganda's Defence Advisor to the Federal Republic of Nigeria. The function took place at the headquarters of the Defence Intelligence Agency (DIA) and follows the completion of the documentation process by the Nigerian Ministry of Foreign Affairs. African governments should endeavour to consult the private sector before making policies aimed at accelerating economic growth and development in the continent, Amb. Nelson Ocheger has said. He made these comments while meeting Mr. Paul Babatunde Ruwase (FCA), the President of the Lagos Chamber of Commerce and Industry. 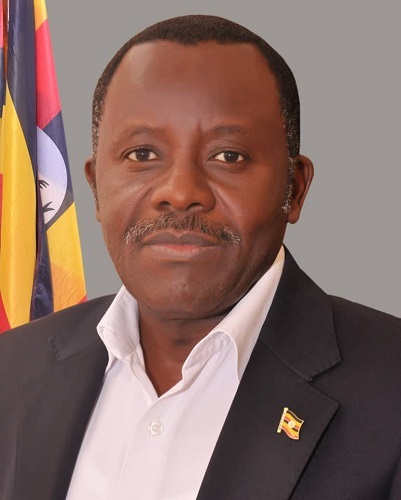 Uganda's new envoy to the Republic of Cote D' Ivoire, Amb. Nelson Ocheger has presented letters by which President Yoweri Kaguta Museveni accredits him as Ambassador Extraordinary and Plenipotentiary of the Republic of Uganda to the Republic of Cote D'Ivoire. There is urgent need to make the existing cordial bilateral relations between the Republics of Benin and Uganda more dynamic. President Patrice Guillaume Athanase Talon, of the Republic of Benin emphasized this while receiving letters of credence accrediting Amb. Nelson Ocheger as Ambassador.